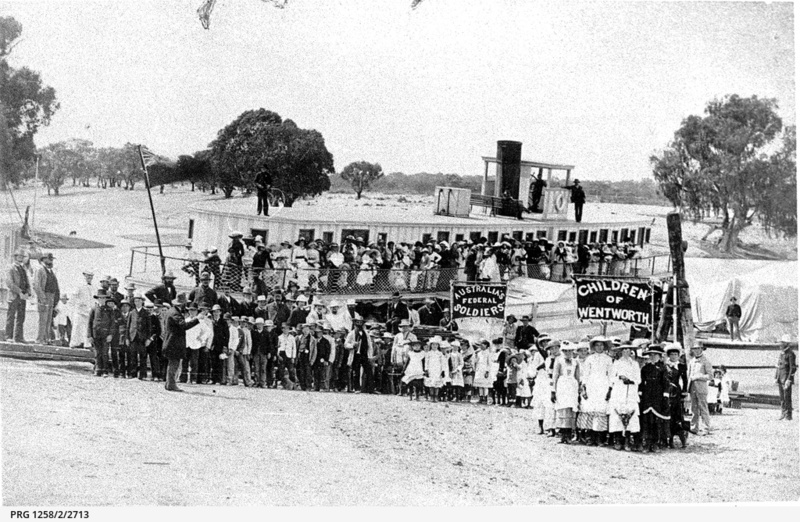 Patriotic gathering at Wentworth, in front of the paddle steamer 'Gem', loaded with onlookers. Banners with 'Australia's Federal Soldiers' and 'Children of Wentworth' are displayed. Identified by Godson as the 'Emily Jane' burnt to the waterline, 24 December 1899, at Wentworth.